Making the most of your back to school season motivation. Generally I like to view September as quite a positive month. There's a new lease of motivation lingering the air as the back to school season brings both a fresh start and a chance to renew our goals for the next academic year. I always return to school/college/university with an extremely positive attitude and a genuine excitement towards studying and starting again by learning something new. I'm sure most of you can agree though that this positive attitude is short lived and by Christmas you're slowly losing the will to live and then by the time summer and exams roll around, you can't even face the thought of leaving your bed to go to school each morning.But have no fear! Continue reading for my top tips on how you can ensure that motivated September attitude is here to stay all year round. New, new, newWhether it's new fitness gear or new stationery, I always feel so much more motivated to carry out my work if I'm excited to use my equipment. This doesn't even have to involve spending money. You could simply follow new blogs or create a new playlist to add some refreshment on your journey to work/school, change up your phone layout, try out a new hairstyle and if you are feeling spendy; treat yourself to a new outfit for that all important first day back to school. To continue this sense of refreshment throughout the year why not treat yourself to a new notebook for christmas, spring, summer etc or even a new lipstick as a reward for handing in that assignment you spent four months working on. Setting goalsIf you haven't already sat down and thought about your goals for the end of the year or even the end of the next academic term, I'm sure this is something your teachers will be encouraging you to do in the coming weeks. A technique I like to use to help track my progress and keep me motivated past the September refresher is to review my goals at the end of each month. Set yourself a list of targets to have completed by Christmas, then review these at the end of both October and November. Tracking your journey towards your goals will help you to analyse your progress, see your results and ultimately boost your motivation towards completing your targets. Do your research NOWMake the most of your September motivation and begin to do your research now. What books do you need for your courses? Make a start on reading them now and take notes of things which may help you with your assignments further down the line. Trust me, when you reach a November rut you will seriously be thanking yourself for this. 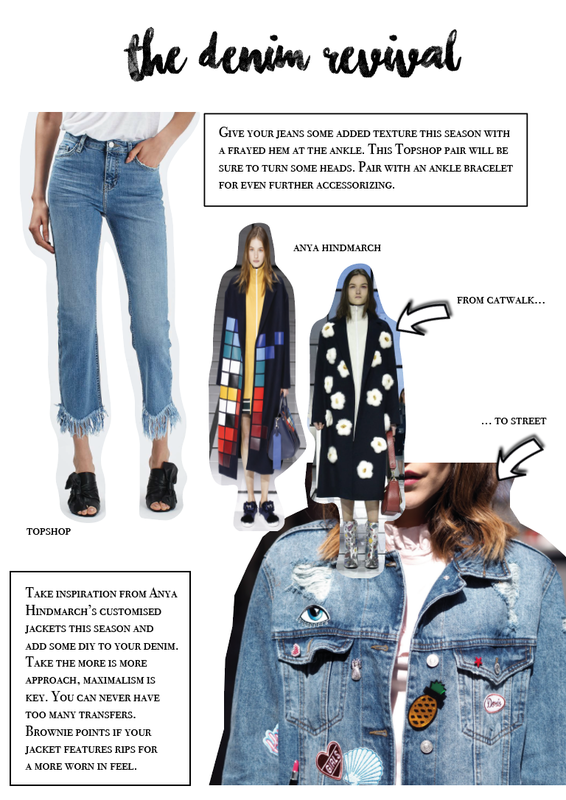 Get pinningWhere else better to find inspiration than Pinterest? Create yourself a board of what's inspiring you right now. This could be a board filled with motivational quotes, fashion inspiration for the upcoming season or even photographs of scenery in the autumn/winter to get you feeling excited for the change of seasons. As let's be honest, the end of summer can be quite a saddening time for most of us I'm sure! 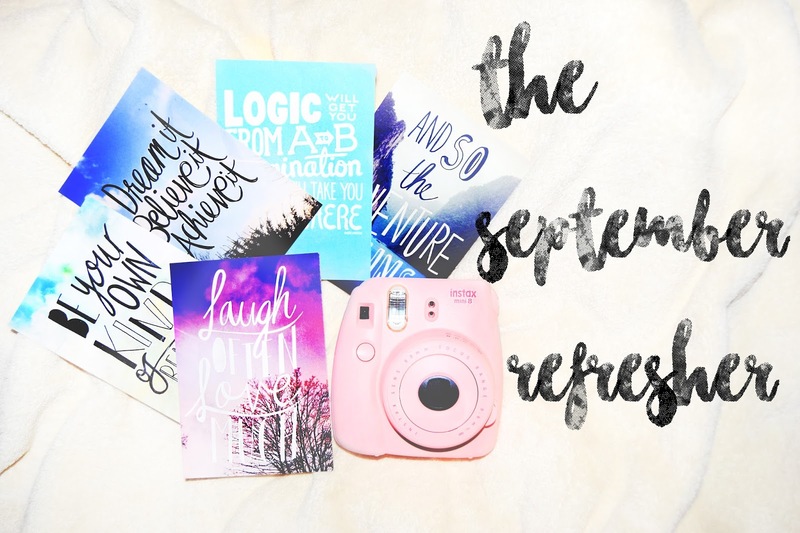 Further this inspiration by printing out a select few of your favourite pins to decorate your notebooks or produce a photo wall in your office. Either way, it's time to refresh your work space! Renew your gym contractThe new year and the summer season are definitely the peak seasons at the gym and a lot of us tend to only purchase a 3 month contract which covers us for the holiday season. Use your September motivation and extend that contract throughout the winter months. If you're paying for your fitness, you are much more likely to do your workout as nobody enjoys wasting their hard earned pennies right?! I also find myself feeling so much more motivated for the rest of the day after a successful workout so planning at least one fitness session a week is definitely super important for me! What do you do to stay motivated?! With August being a month filled with results and a time where many of us (Those in the academic part of our lives especially!) are hoping to progress onto the next level of academic success come September; receiving a 'knock-back' or a result you aren't too happy with can leave many of us feeling extremely distressed and downhearted. Throughout the year, teachers often stress to us the importance of passing our exams and passing them well at that. It's lovely to see that our teachers have high hopes for us as students and want us to do well but I believe that it must also be stressed that it isn't the end of the world either. 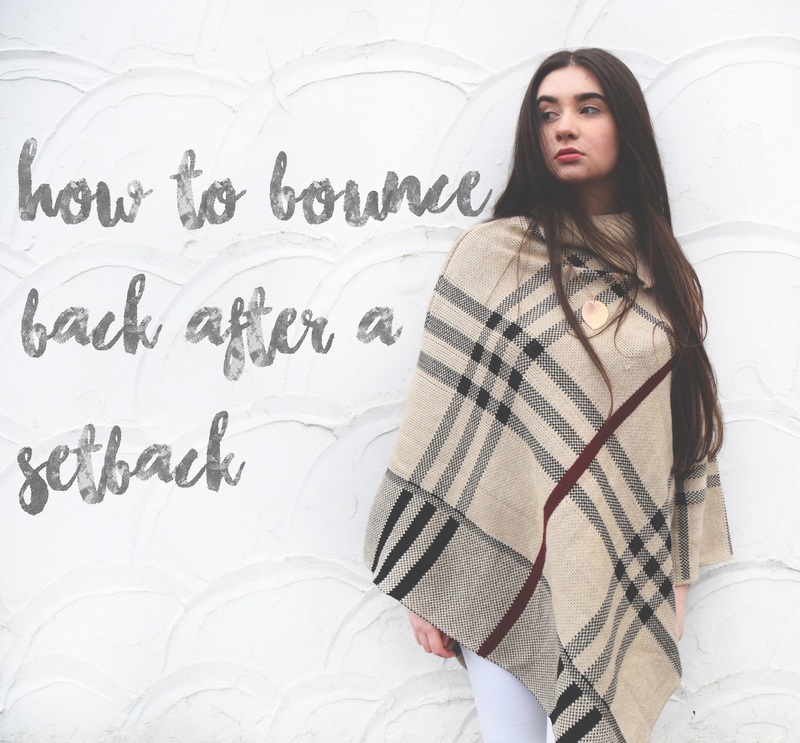 And so, if you're a little disappointed with your exam results this month or you've recently been knocked back by several job applications, I'm here to share with you today how you can bounce back after that set back. If at first you don't succeed, try againAs clichè as it seems, try again. Anyone can take the easy way out, accept failure and admit defeat. But use your setback to spur you on, to make you try harder, to boost your motivation and work for it again. Know your faultsUnderstanding where you went wrong along the way can be a key factor in assisting you with moving forward and achieving your goals second time around. If you didn't quite achieve the grades you needed in your exams it could be quite useful to request to have your paper brought into your school/college from the exam board so you are able to see where exactly it is that you went wrong initially. In regards to job applications, if you're a student you could really benefit from asking your teacher/lecturer on advice on how to improve your CV and get you one step closer to that dream job! Don't let the negatives outweigh the positivesOne of the worst things you can do is focus your entire mindset upon the negatives. If you've failed one exam, don't let that dull your shine on the seven that you have passed. Take a different pathI truly believe that everything in life happens for a reason and for that, some things just aren't meant to be. If it hasn't worked out for you this time then maybe that's life's way of telling you that your path in life lies elsewhere. Do what you love and love what you do. Set yourself some goals. Where do you see yourself in five years time? Which career path do you ultimately want to end up in in the end? Do your research. What do you need to achieve to get there. Be prepared for new adventures. There are far greater things in life than school and once you've landed your dream job, you'll look back at your schooling years and realise that teachers really do pile on a lot of unnecessary pressure to pass to their standards. As long as you have truly done your best then that's all that matters. How do you overcome a setback?! When I first began blogging, I would never have thought that I would reach a point of 'boredom'. In fact, I wouldn't consider myself as being bored of blogging. Writing, fashion, beauty and photography are four of my biggest interests in life. I just became stuck in a rut. A continuous cycle whereby I began publishing the same style of posts month in, month out. Each season or annual event I would scroll back to what I had published on the same topic in the previous year. This usually then led to me recreating a similar style of post simply because I knew it had performed well in the previous year. I began to lack the creativity and imagination which I had when I first began blogging. There was no longer a buzz or excitement as from when I had once allowed my head to sit and think and buzz around with so many new post ideas. In its shorter version. What I'm trying to highlight here is once you have been blogging a number of years or maybe even months, it's okay to feel stumped when it comes to producing new ideas. It's also okay to rebuild upon old ideas. If you're currently feeling uninspired when it comes to blogging then read on for my top tips on how to defeat that dreaded bloggers' block. Plan AheadUsing a planner/journal, map out the next month of your life and checklist the following. What seasonal events are currently happening in your life? This may include 'back to school', 'halloween', 'Christmas' and if you're a fashion blogger even 'fashion week'. Other events to consider are those happening in your personal life. This could include a holiday, attending a blog event, beginning a new school or job. Let these events inspire your post ideas, for example; a holiday can open up the possibility of producing a travel photo diary, holiday make-up suggestions, packing tips/advice or even a guide to the local area you are visiting. ReflectRead the content you posted this time last year. Analyse what worked well, which ideas produced the most amount of views and comments. Ask yourself, are these topics still relevant now? Are you able to add onto these ideas and develop your thoughts by creating a similar post now? Use the old to inspire the new. ReadTry to read other blogger's posts as often as you can to see what everyone around you is currently talking about. Read magazines too. What is currently trending? What are the hot topics this month? What is the zeitgeist? Are you able to add your own input? BrainstormWhen placed under pressure the brain tends to work better as it is being forced into a reaction. Why not set yourself a timer for one minute and list as many post ideas as you can? Sometimes backing your brain into a corner can awaken some creativity you may have once felt was lost. Google post ideasWhen in doubt, Google will always be your best friend. There are countless blog posts out there featuring endless lists of post ideas for you to feast your eyes upon. Blog ChatsI always find speaking to other bloggers really inspires and encourages me to keep going with my blog. Whenever I take a break away from blogging and feel as though I've lost the passion for it which I once had, taking part in a blogger chat always makes me miss it straight away. It's the perfect opportunity to network online, read and discover new blogs (Links are usually shared at the end of the chat!) 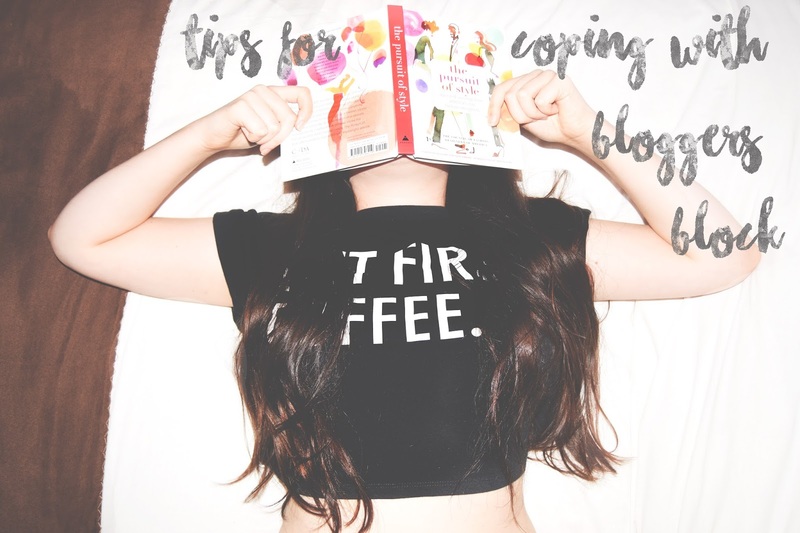 and to make some blogging friends - Which trust me, always comes in useful if you need some blogging advice which your irl friends just can't relate to whatsoever! Take a break And if all else fails, simply take a break. Inspiration can dwindle. We can't be expected to produce creative ideas week in, week out and you should never ever force your ideas. Posts where the content is clearly forced are not only painful for you to read and create but this really does reflect in your work and destroys the reader's pleasure in reading your work too. Creativity should always be produced with a natural flair. Take some time to yourself, explore, become inspired and the time will eventually come when you feel ready once again to sit back at your desk and get writing. 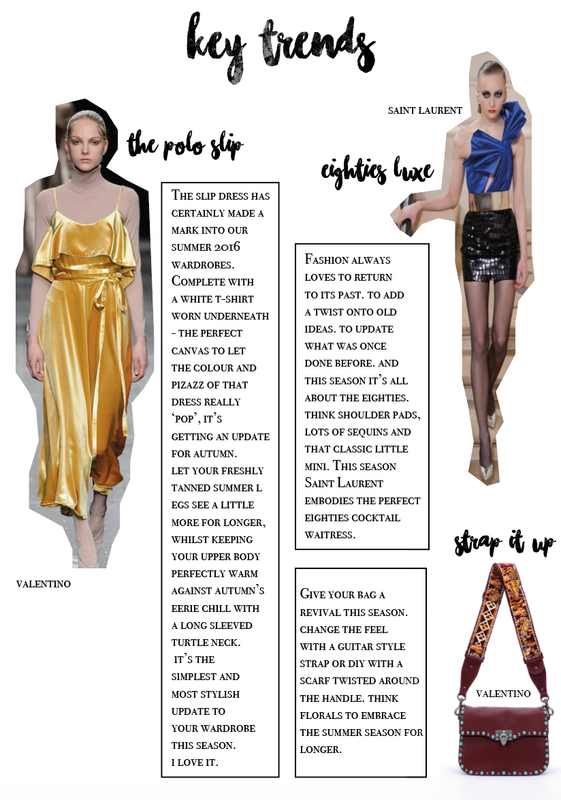 As we enter into August and you're trying to savour every last second of sunshine and your favourite summer sandals, fashion has got its mindset on the season ahead. 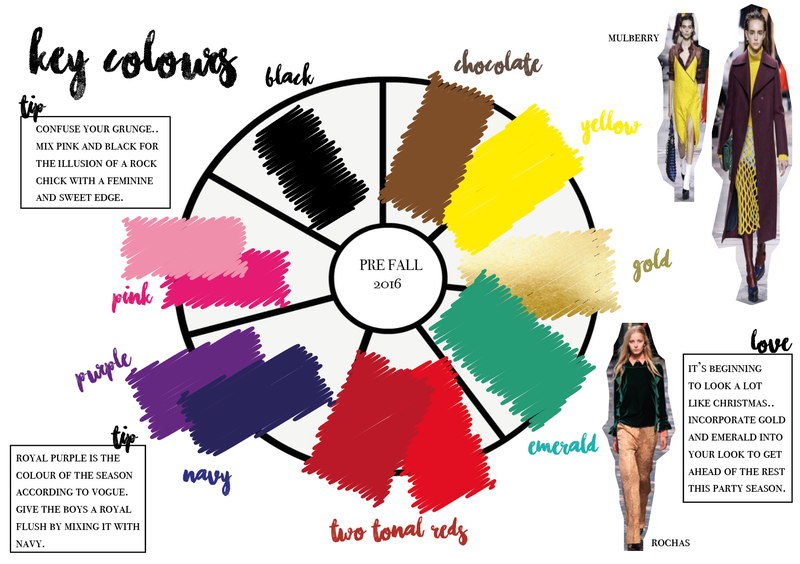 As we look back at this year's A/W 2016 catwalk shows we are now able to see which trends will be coming to life and entering into your wardrobe this upcoming season. 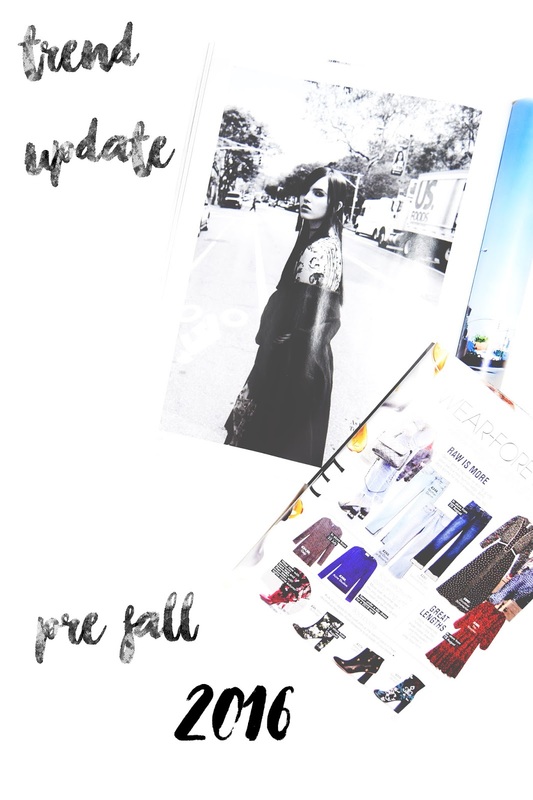 I've whittled down the pages of fashion's favourite highlights as featured within Vogue, Elle, Glamour and Marie Claire to create your ultimate pre-fall fashion survival guide. 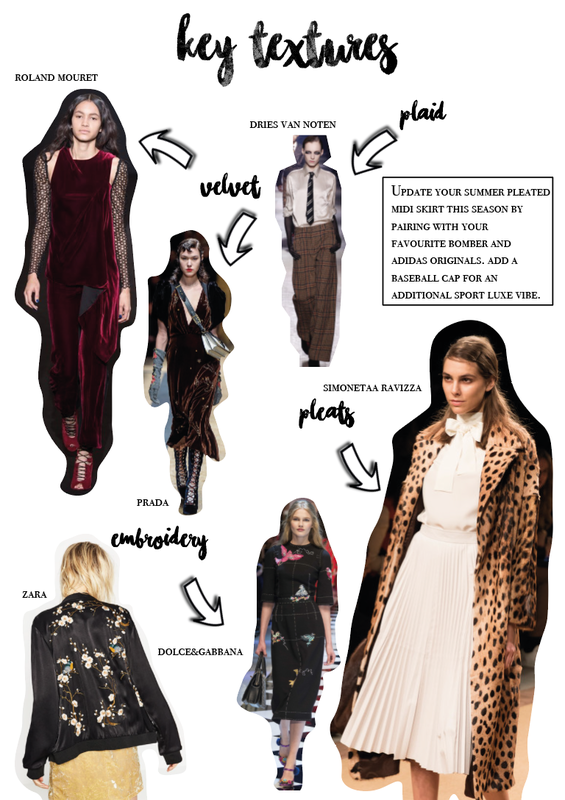 Get ready to delve back into eighties glamour (Thank you Hedi Slimane), indulge yourself in an array of velvet attire and don't throw away your bomber just yet - It's receiving an embroidered overhaul! This is Autumn/Winter 2016. This is fashion. Is anyone else sensing their overdraft head into overdrive?! This season certainly has something to offer for everyone. My personal favourite is the 'polo slip', this could look gorgeous dressed up for an upcoming Christmas party. Okay, I think it's probably a bit too early to mention the 'C' word. 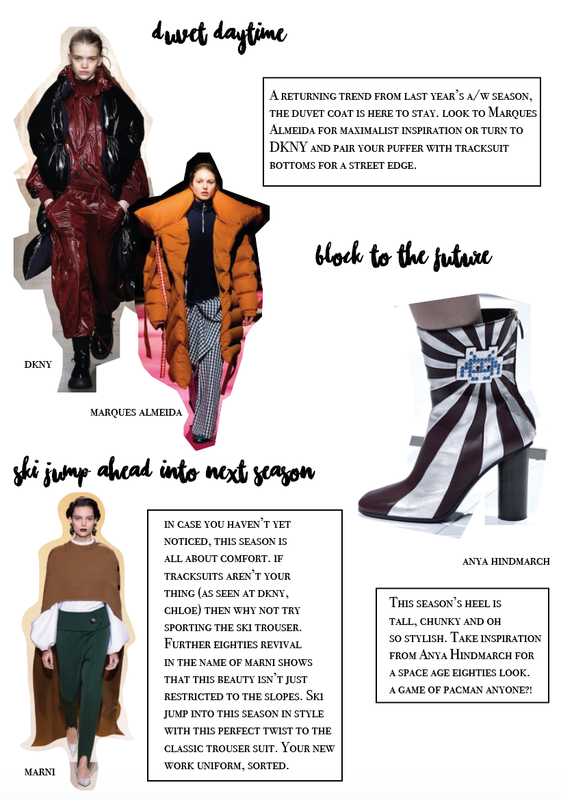 What are your favourite trends this season? !